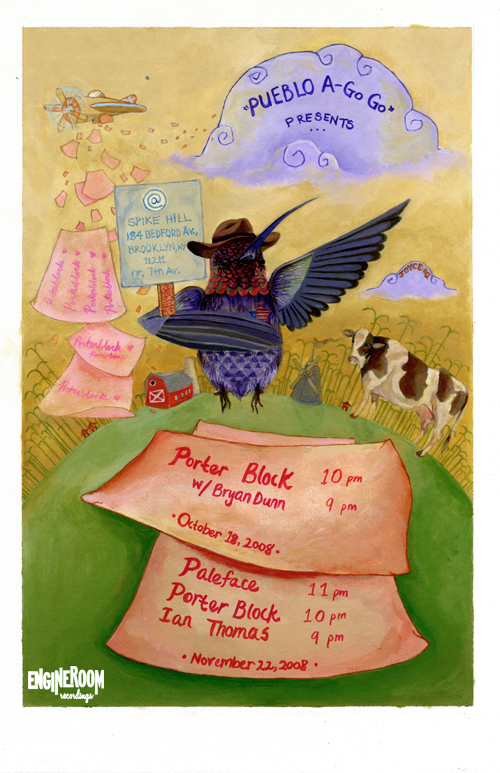 The wonderfully talented Carolyn just sent us the final cover design for the new Porter Block album Pueblo A-Go Go. We love it! News :: New Lowry Video! Be sure to come to Wed Oct 29th Love Is Dead release show at The Studio @ Webster Hall featuring ERR artists Lowry, The Bloodsugars & Porter Block and our friend Tanye Buziak! “Face Behind Your Hands” from Lowry on Vimeo.